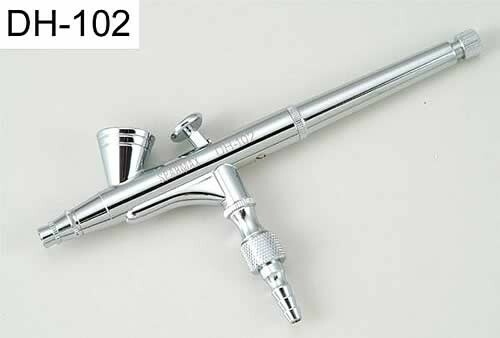 Sparmax Quality Art and Cosmetics Airbrush. b. "Pull back" on finger button to control medium flow. Pull back slightly for small medium flow, pull back further to increase flow. 5. Supplied in a Display Pack complete with 1/8” hose connector and fluid tip wrench. Also contains a “User Guide” and “Spare parts sheet.